Over two years ago I wrote a post about my love for my husband in which I quoted Elizabeth Barrett Browning's Sonnet #43. To this day it remains one of the best things I've ever written. In it I explain how I love him, why we're soul mates and how our love has grown over the years. But why do I think he's great? What are my favorite things about him? 1. He makes me laugh. A lot. 4. He's a great dad. He loves spending time with the kids, and can't get over how beautiful they are. 5. He can cook! Really well. If he had the energy for it, he would have loved to be a chef. He started a culinary program once, but quickly realized he just didn't have the stamina for it. 6. He is faithful to those he cares about. 7. One of his missions in life is to make sure I am never without the things that make me happy. 8. He strives to see the good in everything. 9. He has been my greatest teacher. From cooking to how to be more outgoing to common courtesy to what the gene for dwarfism is called. The man knows stuff. Our son thinks he knows everything. Don't even get me started on all he teaches us through his struggles. 11. 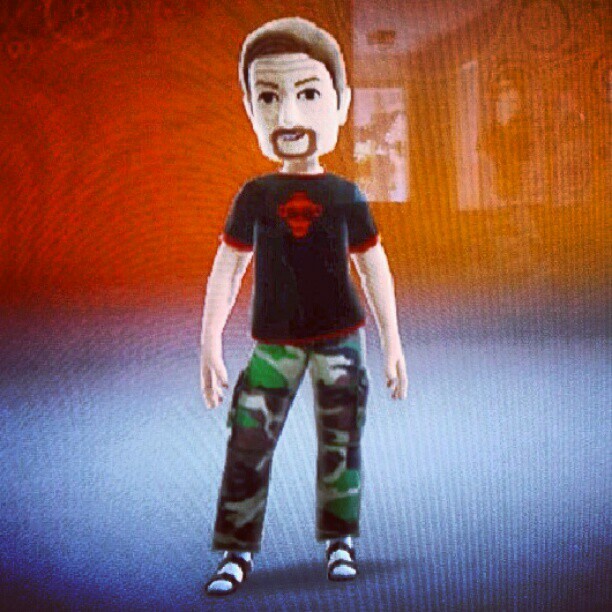 He made a Xbox avatar that looks almost exactly like him, socks with sandals and all. I married a good guy, that's for sure. Linked with Tuesday Ten on 4/21/2015.